Start the Mummy by drawing thick goggle frames around the eyes with your black Brush Pen, carefully avoiding the sensitive eye area. 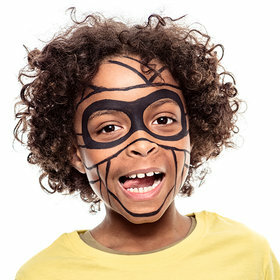 Next create your bandage lines with the same black Brush Pen. 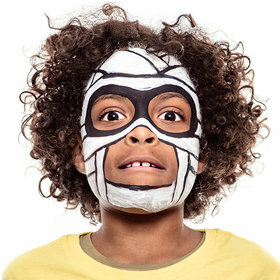 Draw lines across the forehead, cheeks, chin and nose and leave to dry. Finally, you just need to take a white Brush Pen, twist it up and get to work filling in the bandages. 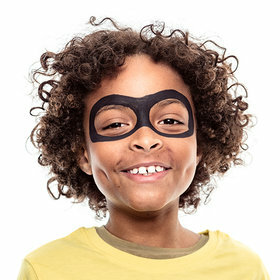 It’s super easy and very effective – just be careful to avoid the Mummy’s curse! 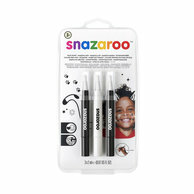 The Snazaroo Monochrome Brush Pen Pack comes complete with two black brush pens and one white, the two most popular and versatile face paint colours in the Snazaroo range.